Miller uses KeepTruckin’s dash cam technology. KeepTruckin and Samsara were two of the companies that presented their video technology at the 2019 Mid-America Trucking Show in Louisville, Ky., last month, pitching the technology to hundreds of drivers and fleet managers. Samsara’s Gabby Deocares was one of the presenters. She told TT after the show that drivers initially were hesitant about the technology, until they saw the benefits of video evidence in an accident or traffic incident. The dash cams, which can record the road or both the road and the cab, can alert the driver and fleet manager of unsafe driving, such as following a vehicle too closely, drowsiness or texting while driving. With Samsara’s model, if there is an instance of hard braking, the dash cam will upload 20 seconds of video to management to examine, Deocares said. Samsara and KeepTruckin noted that in the past, hard braking could be recorded but not seen. Now management will know if the driver went onto the shoulder or went off the road, and it will know almost immediately with a combination of ELD and video footage. Will Van Eaton, product marketing manager for KeepTruckin, said the company’s smart dash camera has evolved from being a tool of recording to also being one used for training. Videos from the road are used to show drivers how to avoid hard braking, sudden accelerations and sharp turns, Van Eaton said. He told TT that the San Francisco-based tech firm has seen substantial improvement in safety performance in its clients. Deocares said the Samsara ELD connects with a dash camera. Combined with GPS, the devices let the trucking company know where the driver is — every five seconds — while on the road, creating a digital-tracking system and allowing better estimates regarding arrival, she said. And the cameras also use computer vision to detect rolling stops, read speed limits and identify distracted driving and tailgating, according to Deocares. Meanwhile, the tweaks in the technology keep coming. 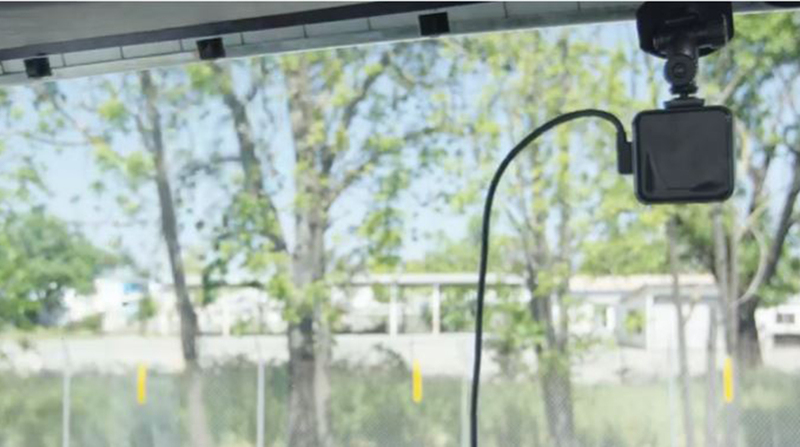 In March, KeepTruckin unveiled new features for its Smart Dashcam, including video recall, which allows fleet managers to recall video footage from the previous 35 hours of driving time, providing visibility that helps guide driver training. The Smart Dashcam also automatically assigns tags that describe the context leading up to an event. According to KeepTruckin, fleet managers can use such information to prioritize which events to review first. Haverstick told TT he wants more video angles, including down each side of a trailer. For now, he is happy with the new technology he is using. “It does a lot for us,” Haverstick said.